What Are the Exams and Tests for Pulmonary Edema? What Imaging and Other Tests Diagnose Pulmonary Edema? Are there Home Remedies for Pulmonary Edema? What Is the Medical Treatment for Pulmonary Edema? What Is the Medication for Pulmonary Edema? What Is the Follow-up for Pulmonary Edema? How Do You Prevent Pulmonary Edema? What Is the Prognosis for Pulmonary Edema? Pulmonary edema literally means an excess collection of watery fluid in the lungs. (pulmonary=lung+edema=excess fluid). However, the lung is a complex organ, and there are many causes of this excess fluid accumulation. Regardless of the cause, fluid makes it difficult for the lungs to function (to exchange oxygen and carbon dioxide with cells in the bloodstream). 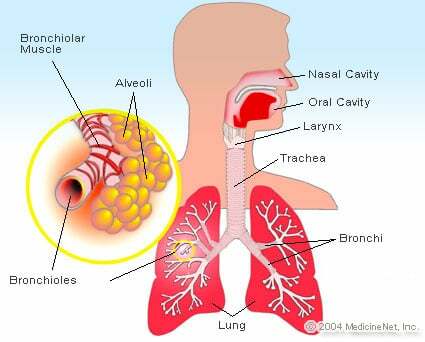 Air enters the lungs through the mouth and nose, traveling through the trachea (windpipe) into the bronchial tubes. These tubes branch into progressively smaller segments until they reach blind sacs called alveoli. Here, air is separated from red blood cells in the capillary blood vessels by the microscopically thin walls of the alveolus and the equally thin wall of the blood vessels. The walls are so thin that oxygen molecules can leave air and transfer onto the hemoglobin molecule in the red blood cell, in exchange for a carbon dioxide molecule. This allows oxygen to be carried to the body to be used for aerobic metabolism and also allows the waste product, carbon dioxide, to be removed from the body. If excess fluid enters the alveolus or if fluid builds up in the space between the alveolar wall and the capillary wall, the oxygen and carbon dioxide molecules have a greater distance to travel and may not be able to be transferred between the lung and bloodstream. This lack of oxygen in the bloodstream causes the primary symptom of pulmonary edema, which is shortness of breath. What does the anatomy of the lung look like? Pulmonary edema is often classified as cardiogenic or non-cardiogenic [due to a heart (cardiac) problem or due to a non-heart related issue respectively]. Cardiogenic pulmonary edema is the most common type and is sometimes referred to as heart failure or congestive heart failure. It may be helpful to understand how blood flows in the body to appreciate why fluid would "back up" into the lungs. The function of the right side of the heart is to receive blood from the body and pump it to the lungs where carbon dioxide is removed, and oxygen is deposited. This freshly oxygenated blood then returns to the left side of the heart which pumps it to the tissues in the body, and the cycle starts again. Pulmonary edema is a common complication of atherosclerotic (coronary artery) disease. As the blood vessels that supply nutrients to the heart tissue progressively narrow, the heart muscle may not receive enough oxygen and nutrients to pump efficiently and adequately. This can limit the heart's ability to pump the blood it receives from the lungs to the rest of the body. If a heart attack occurs, portions of the heart muscle die and is replaced by scar tissue, further limiting the heart's pumping capability leaving it unable to meet its work requirements. When the heart muscle is not able to pump effectively there is a back-up of blood returning from the lungs to the heart; this backup causes an increase in pressure within the blood vessels of the lung, resulting in excess fluid leaking from the blood vessels into lung tissue. Two of the most common cardiomyopathies are ischemic (due to poor blood supply to the heart muscle as described above) and hypertensive. In hypertensive cardiomyopathy, poorly treated high blood pressure results in thickening of the heart muscle to enable the heart to pump blood against that increased pressure. After a period of time, the heart may no longer be able to compensate and fails to keep up with the work load; as a result, fluid leaks out of the blood vessels into the lung tissue. Another cause of pulmonary edema are mitral and aortic heart valve conditions. Normally, heart valves open and close at the appropriate time when the heart pumps, allowing blood to flow in the appropriate direction. In valvular insufficiency or regurgitation, blood leaks in the wrong direction. In stenosis of the heart valves, the valve becomes narrowed and doesn't allow enough blood to be pumped out of the heart chamber, causing pressure behind it. Failure of the mitral and aortic valves located in the left side of the heart can result in pulmonary edema. Non-cardiogenic pulmonary edema is less common and occurs because of damage to the lung tissue and subsequent inflammation of lung tissue. This can cause the tissue that lines the structures of the lung to swell and leak fluid into the alveoli and the surrounding lung tissue. Again, this increases the distance necessary for oxygen to travel to reach the bloodstream. The following are some examples of causes of non-cardiogenic pulmonary edema. Kidney failure: In this situation the kidneys do not remove excess fluid and waste products from the body, and the excess fluid accumulates in the lungs. Inhaled toxins: Inhaled toxins (for example, ammonia or chlorine gas, and smoke inhalation) can cause direct damage to lung tissue. High altitude pulmonary edema (HAPE): HAPE is a condition that occurs in people whoexercise at altitudes above 8,000ft without having first acclimated to the high altitude. It commonly affects recreational hikers and skiers, but it can also be observed in well-conditioned athletes. Medication side effects: These may occur as a complication of aspirin overdose or with the use of somechemotherapy drug treatments. Illicit drug use: Non-cardiogenic pulmonary edema is seen in patients who abuse illicit drugs, especially cocaine and heroin. Adult respiratory distress syndrome (ARDS): ARDS is a major complication observed in trauma victims, in patients withsepsis, andshock. As part of the body's attempt to respond to a crisis, the antiinflammatory response attacks the lungs with white blood cells and other chemicals of the inflammatory response causing fluid to fill the air spaces of the lungs. Pneumonia: Bacterial or viral pneumonia infections are quite common; however, occasionally become complicated as a collection of fluid develops in the section of the lung that is infected. Shortness of breath is the most common symptom of pulmonary edema and is due to the failure of the lungs to provide adequate oxygen to the body. In most cases the shortness of breath or dyspnea (dys=abnormal +pnea=breathing) has a gradual onset. However, depending on the cause, it may occur acutely. For example, flash pulmonary edema, which has an abrupt onset, is often associated with a heart attack. The shortness of breath may initially be manifested by difficulty doing activities that once were routine. There may be a gradual decrease in exercise tolerance, where it takes less activity to bring on symptoms. In addition to shortness of breath, some patients with pulmonary edema will also wheeze. Orthopnea and paroxysmal nocturnal dyspnea are two variants of shortness of breath seen in association with pulmonary edema. Orthopnea describes shortness of breath while lying flat. Some patients with orthopnea may use two or three pillows to prop themselves up at night or resort to sleeping in a recliner. Symptoms of paroxysmal nocturnal dyspnea are generally described by the patient as wakening in the middle of the night, short of breath, with a need to walk around and perhaps stand by a window. The lack of oxygen in the body can cause significant distress, leading to a respiratory crisis, gasping for air, and feeling unable to breathe. In effect, if there is enough fluid in the lungs, it can feel like a drowning. The patient may begin coughing up frothy sputum, become markedly sweaty and cool and clammy. The lack of oxygen can also affect other organs. Confusion and lethargy from lack of oxygen delivery to the brain; andangina (chest pain) from the heart, can both be associated with massive pulmonary edema and respiratory failure. Pulmonary edema is due to left heart failure, in which pressure backs up into the blood vessels of the lungs, but some patients also have associated right heart failure. In right heart failure, the pressure backs up in the veins of the body, and fluid accumulation can occur in the feet, ankles, and legs as well as any other dependent areas like the sacrum, if the patient sits for prolonged periods of time. Patients with high altitude pulmonary edema may also develop high altitude cerebral edema (inflammation and swelling of the brain). This may be associated with headache, vomiting, and poor decision making. Unexplained shortness of breath is not normal, and medical care should be accessed to find the reason. Should the patient present in respiratory distress, initial stabilization of the ABCs (airway, breathing, and circulation) may occur at the same time as, or take priority over, any diagnostic testing or examination. However, if there is time, history and physical examination are important first steps in making the diagnosis and establishing the cause of pulmonary edema. With the history taken from the patient or family, the health care practitioner will try to determine the cause of the shortness of breath that brings the patient in for care. Symptoms of shortness of breath on exertion, chest pain, orthopnea, and paroxysmal nocturnal dyspnea (waking from sleep due to respiratory distress) may be the clue to make the diagnosis of pulmonary edema. Past medical history may provide direction as to the cause. Patients at risk for cardiogenic pulmonary edema may have risk factors for heart disease, including high blood pressure, high cholesterol, diabetes, family history of heart disease, and smoking. Questions about signs of infection, medications and other complaints may be asked to access for reasons other than pulmonary edema that may be causing the shortness of breath. Non-cardiogenic causes of pulmonary edema are also considered, especially in patients with no previous history of heart disease. Physical examination often concentrates on the heart and lungs. Listening to the lungs may reveal abnormal lung sounds consistent with fluid accumulation. Wheezing may be heard, and while may people equate wheezing with asthma or chronic obstructive pulmonary disease (COPD), this is not always the case and may be due to pulmonary edema. Listening to the heart may reveal abnormal heart sounds or murmurs associated with valvular heart disease. If right heart failure exists, there may be swelling of the feet, ankles, and legs as well as jugular venous distention (a prominence of the veins in the neck associated with fluid overload). Often a chest X-ray is taken to assess the status of the lungs. It may reveal obvious fluid, or there may be subtle changes that give direction to the diagnosis. An electrocardiogram (EKG) may be helpful in diagnosing heart rhythm disturbances, previous heart attack, and ventricular hypertrophy (thickening of the heart ventricle muscle) associated with hypertension. If there is concern about the structure and pumping capabilities of the heart, an echocardiogram may be considered. This uses ultrasound images which can help identify valve abnormalities, pumping efficiency of the heart, motion of the heart wall, and heart muscle thickness. The pericardium, the lining of the heart, can also be evaluated. Screening blood tests may be considered to look for any underlying medical issues. A complete blood count (CBC) may find an elevated white blood cell count associated with infection or stress. Blood chemistries can screen for diabetes and kidney disease. An arterial blood gas can assess lung function by assessing the oxygen and carbon dioxide levels in the blood; measuring pH and helping determine the acid-base balance of the body. Persons who have new, unexplained shortness of breath should seek medical care immediately. If the individual appears to be in distress, the emergency medical system should be activated (call 911 if available). First responders, EMTs, and paramedics can provide life-saving initial treatment on the scene and en-route to a hospital. For high altitude pulmonary edema, the first treatment goal is to descend and bring the affected person to lower altitude if possible. When a patient is in respiratory distress, the initial treatment will occur at the same time or even before the diagnosis is made. The health care practitioner will assess whether the airway is open and whether breathing is adequate; otherwise there may be a need to breathe for the patient until treatment becomes effective. The blood pressure may need to be supported with medications until the breathing status improves. In situations in which there is the luxury of time to evaluate the patient, such as in an office or outpatient clinic, the treatment of pulmonary edema may involve minimizing risk factors that may have caused it. In cardiogenic pulmonary edema, efforts to maximize heart function and decrease the amount of work the heart has to do are attempted to try to decrease the amount of fluid that the heart has to pump. This should decrease the amount of fluid build-up in the lungs and relieve symptoms. In the acute situation, oxygen is the first drug that may help reduce dyspnea, or shortness of breath. Intravenous diuretics [furosemide (Lasix), bumetanide (Bumex)] are first-line medications to help the kidneys remove excess fluid from the body. Even in kidney failure, these drugs may help shift fluid out of the lung for a short period of time. Reducing the work effort of the heart may be helpful in the acute situation. Nitroglycerin (Nitrolingual, Nitrolingual Duo Pack, Nitroquick, Nitrostat) can be used to reduce the workload of the heart by dilating blood vessels and reducing the amount of blood returning to the heart. 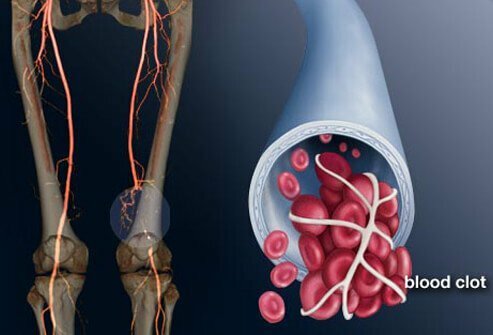 Enalapril (Vasotec) and captopril (Capoten) are examples of medications that dilate peripheral arteries and decrease the resistance against which the heart muscle must pump. Morphine may be considered to ease anxiety and help with the feeling of shortness of breath. If the patient is in respiratory failure, positive airway pressure breathing machines (CPAP, BiPAP) may be used to force air into the lungs. This is a short-term solution (used for up to a few hours) until the medications work. In patients who become somnolent (sleepy) or who are no longer able to breathe adequately on their own, intubation (putting a tube into the airway) and using a ventilator may be required. In non-cardiogenic pulmonary edema, the focus will be on decreasing lung inflammation. While the above medications may be considered, the short-term use of mechanical ventilation with CPAP, BiPAP, or a ventilator may be indicated. The underlying cause of pulmonary edema needs to be diagnosed, and this will direct further therapy. Cardiogenic pulmonary edema is a chronic condition to be controlled and not necessarily cured. Controlling heart disease risk factors (high blood pressure, high cholesterol, diabetes, and smoking) decreasing salt intake, and taking prescribed medications will help minimize symptoms and future episodes of pulmonary edema. Follow-up appointments may be recommended to monitor fluid, weight gain, and blood pressure measurements. A consultant for diet management may be helpful. Cardiogenic pulmonary edema is due to heart-related illnesses. Many of these are preventable by maintaining a healthy lifestyle and controlling illnesses like hypertension and diabetes. Routine visits with a primary health care practitioner for screening and maintenance examinations may be helpful. Cardiogenic pulmonary edema affects up to 2% of the US population and accounts for hundreds of thousands of hospital admissions. Research continues on a variety of medications to help treat patients with acute respiratory distress. New medications such as nesiritide (Natrecor) are being introduced and evaluated to help in the treatment of this disease. Meanwhile, population education remains the mainstay in trying to decrease the risk of heart disease and the subsequent development of pulmonary edema and heart failure. Compression stockings can be helpful by increasing the resistance to fluid leaking out of the vessels. These can be purchased in any medical supply store, and are particularly useful for peripheral edema. Body positioning can also be helpful for both peripheral and pulmonary edema to ease symptoms. For example, elevating the head with pillows in bed may benefit someone with pulmonary edema, while elevating the legs may minimize ankle and/or leg edema. What caused your pulmonary edema? What were the symptoms of your pulmonary edema? What was the treatment for your pulmonary edema? What prevention measures do you use to avoid getting a pulmonary edema?